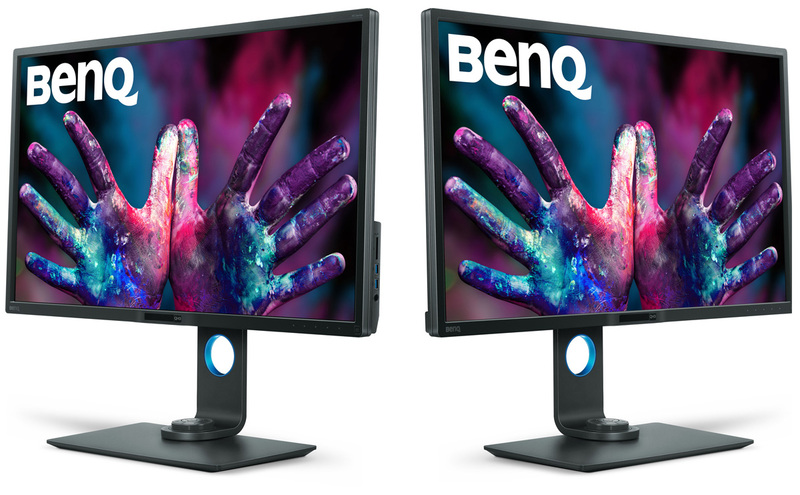 Today we’re looking at a designer monitor from BenQ, the PD3200Q. 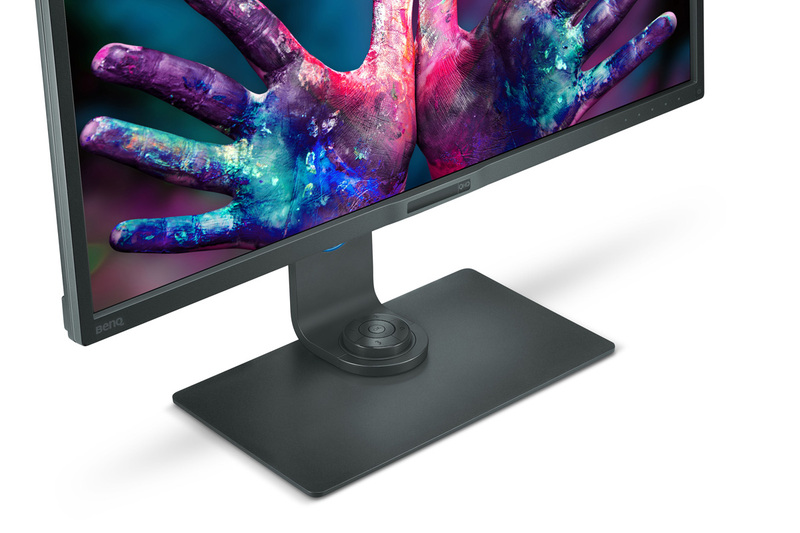 This is a 32-inch monitor with a resolution of 2560×1440, so you’re going to have a lot of screen real estate to play with, without needing to use any scaling in Windows or macOS. 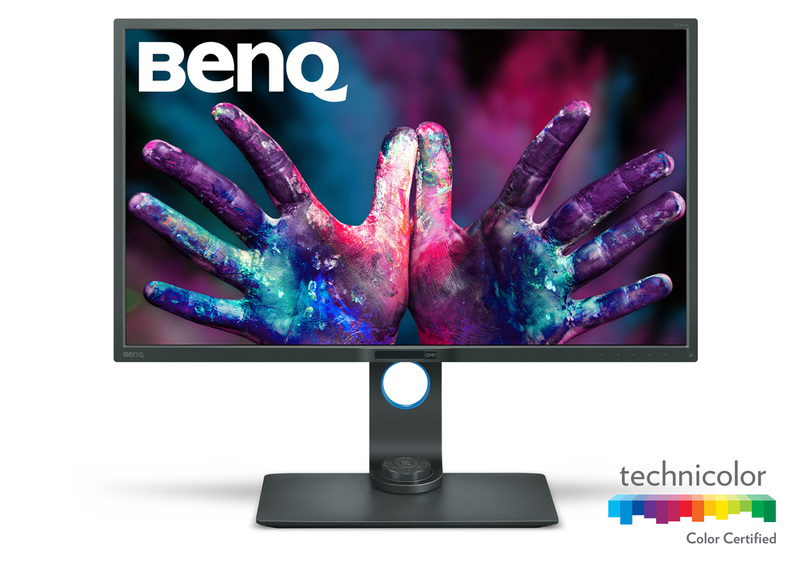 BenQ try to add a lot of value to their monitors through helpful modes and features, and the PD3200Q is no different in this respect. We’ll include a look at these elements throughout the review. For now, let’s get started! The PD3200Q boasts a stylish and modern design, with modest 2-centimetre bezels surrounding the 10-bit VA panel. This monitor is able to hit 100% of the sRGB and Rec. 709 colour spaces. 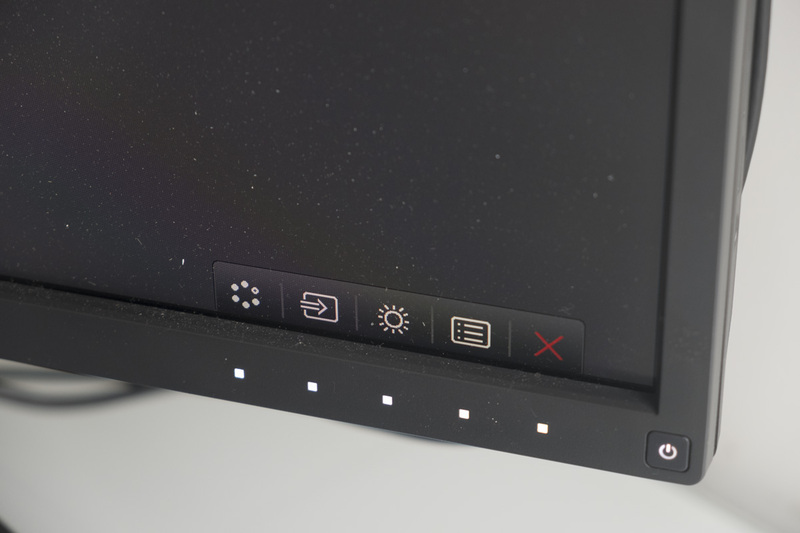 The monitor lacks needless ornamentation, with a subtle QHD logo in the bottom centre and a white LED power button in the bottom right. Rather than having OSD controls on the back or side, the PD3200Q has touch-sensitive lights on the bezel itself. This makes it easier to adjust settings, as there’s never any doubt what a given button press will do. The PD3200Q also has a great stand, with a strong metal body and reams of adjustability — you can rotate the screen 90 degrees to use in portrait mode, adjust the height up and down through 130mm, and of course tilt and swivel to your heart’s content. This gives you a ton of flexibility when it comes to making your monitor suit you and your environment. On the right side of the PD3200Q we can find all of the video ports. You get full size and mini DisplayPort, HDMI and DVI. Also on the right-hand side, tucked just behind the screen, there are four useful ports for creatives: two USB ports, an SD card slot and a headphone jack. 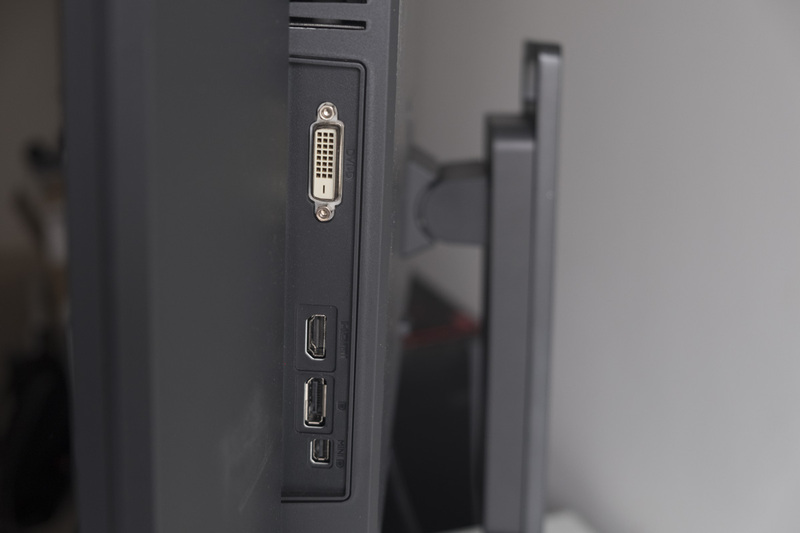 To get these ports working, you’ll need to plug in the USB 3.0 upstream cable into the bottom of the monitor. There are actually two upstream ports available, allowing you to control two different PCs with one set of peripherals. In this way, the monitor acts like a KVM switch. 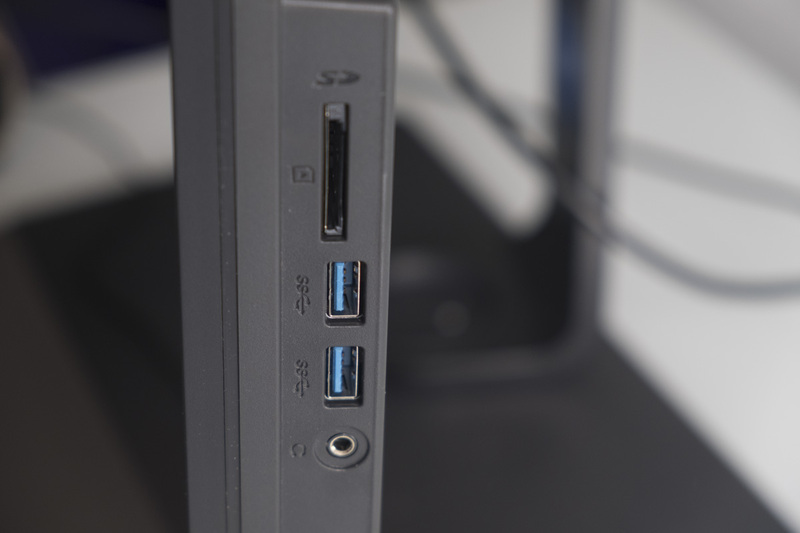 There are also two additional USB ports here, allowing you to plug in four USB devices at once. Finally, there’s a micro USB port that allows you to connect the ‘Hotkey Puck’, which allows you to quickly switch between different modes if you don’t want to use the touch button controls. You can even use the DualView feature to see the same image in two screen modes simultaneously, which might be handy for colour-sensitive work: photo editing, colour grading, CAD/CAM or animation. 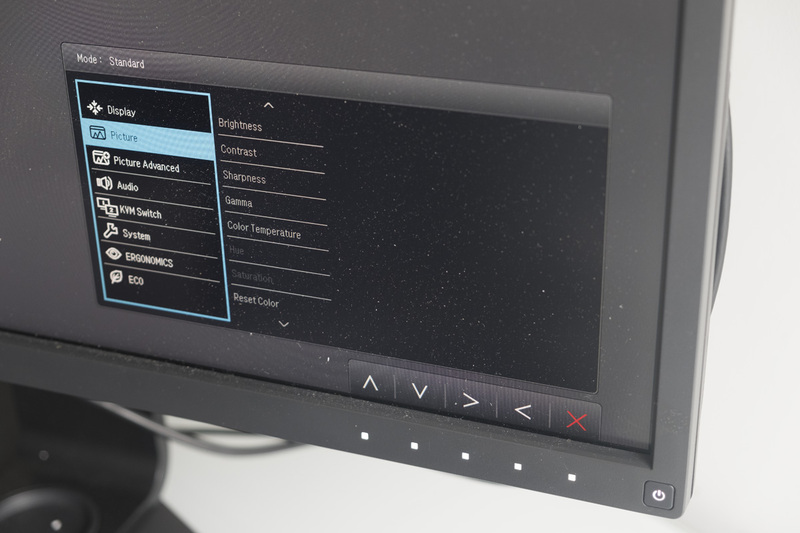 In order to test this monitor’s capabilities, we used an i1Display Pro colourimeter and DisplayCAL software. 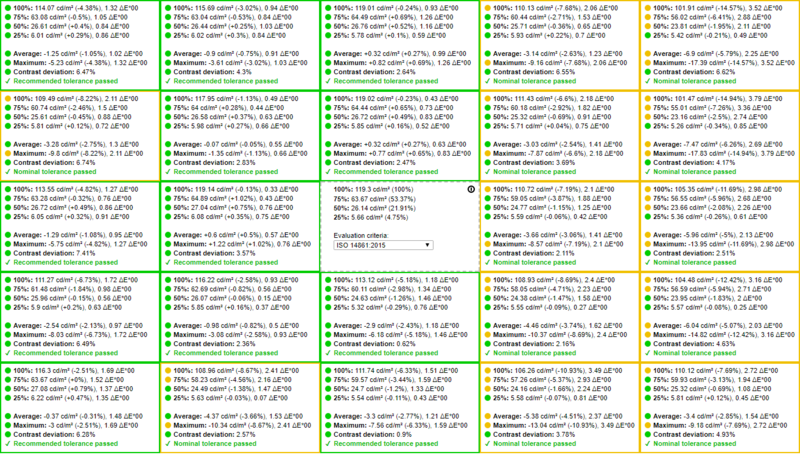 Next, we performed a standard suite of tests, checking gamut coverage, colour accuracy and other metrics. Here’s what we found. Here’s the .ICC / .ICM file produced by the DisplayCAL software; feel free to use it for your own PD3200Q. The usual disclaimers apply; panels vary and this may not produce an improved result. First of all, we’ll discuss gamut coverage. 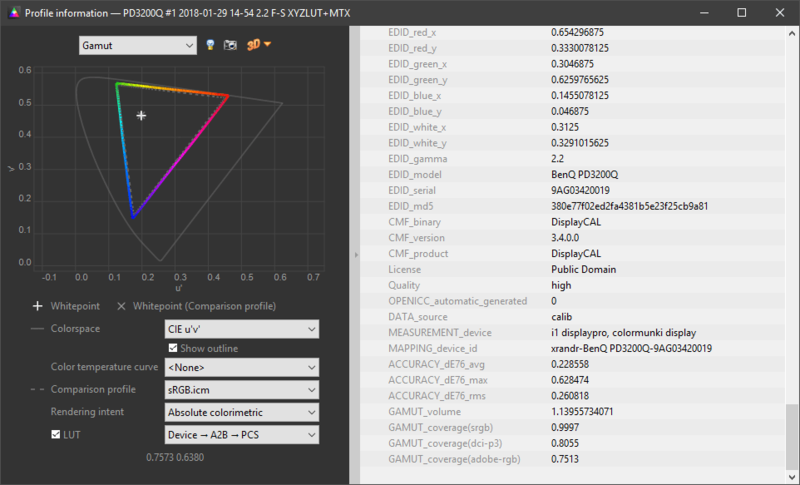 The PD3200Q claims to hit the 100% sRGB gamut, and we see that it does indeed cover that space completely. 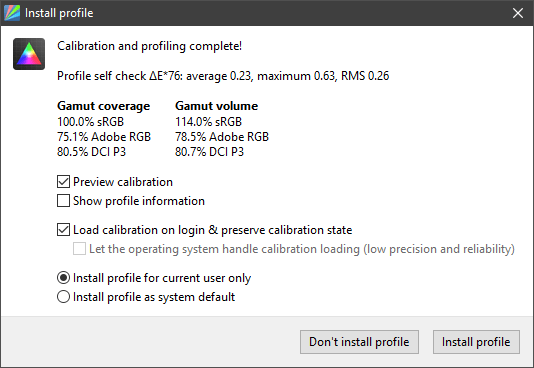 Furthermore, the monitor hits a good amount of the Adobe RGB and DCI P3 gamuts as well, at 75.1% and 80.5% respectively. (Using the Spyder4Elite colourimeter, we also measured 76% NTSC coverage.) This is sufficient for most colour-sensitive work, and should suit most professional / creative usage. You can see the 100% coverage in the chart below; you can see that the measured percentage is actually 99.7% which is within the margin of error. Colour accuracy is also important for a display intended for creatives, and you can see that the PD3200Q does excellently here as well. 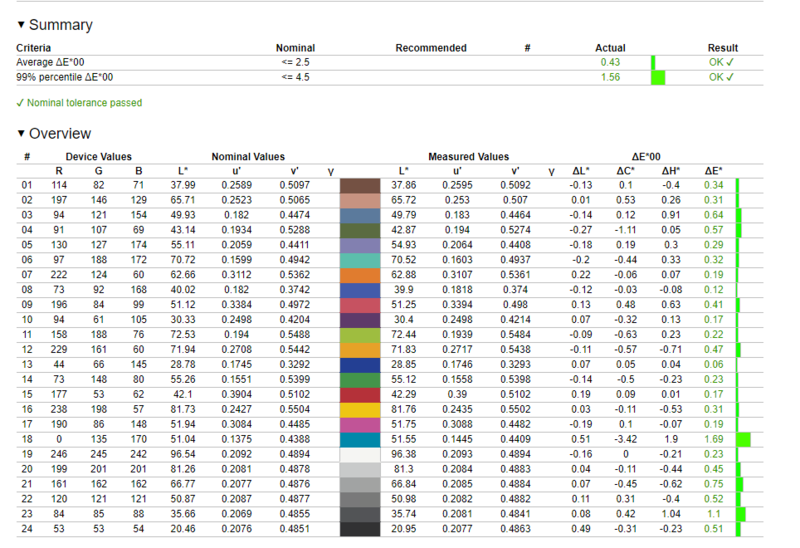 The average Delta-E value is 0.43; anything below 1.00 is great so 0.43 is a very impressive result indeed. 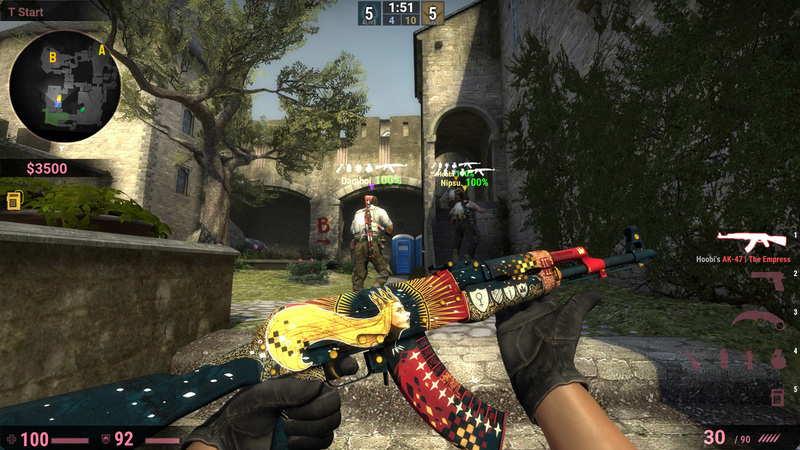 As usual, the teal patch provides the largest error value (1.69). Colour accuracy and gamut coverage are great, but uniformity is also a requirement for professional use. We can see that things are pretty good overall, but there are some imperfections marked by the yellow bordered squares below — specifically, the right hand side of our monitor appears to be a little dimmer than the centre and left. The ten zones on the right are about 6-7% less bright, measuring around 110 nits compared to 120 nits elsewhere. That’s tolerable, if not perfect; in DisplayCAL these quadrants are labelled as ‘nominal tolerance passed’ rather than ‘recommended tolerance passed’. However, contrast deviation is excellent throughout the panel, usually measuring around 1-4%. We used the PD3200Q for ten days, playing games, watching TV and (occasionally) getting stuff done. Here are our impressions. For image editing and video production, the PD3200Q is pretty good — the 1440p resolution gives you enough space to work without requiring any scaling in Windows or Mac, and the wide span of the screen makes it easy to spot minute details without straining your eyes. However, 2160p (aka 4K) may be a better shout for video production, particularly if you’re shooting or publishing in 4K. Apart from the not-quite-4K resolution, things are excellent — the colour accuracy is spot-on, viewing angles are excellent, and the many modes on offer can be handy for specialised tasks like producing 3D models or producing the most colour-sensitive media. The addition of the KVM switch is also nice, allowing you to control two PCs with a single keyboard and mouse. 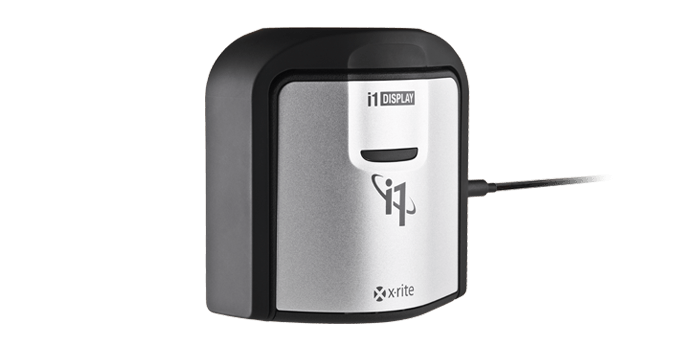 Likewise, the integrated SD card reader is a big quality-of-life upgrade for anyone that frequently needs to dump photos and videos onto their PC. Civilization VI is fun on such a big screen, as you gaze across the rolling expanse of your burgeoning empire and think about which of your new neighbours will next feel your wrath. RPGs are also good, particularly those set in vibrant locales such as Diablo III and Divinity: Original Sin 2. You’ll need a reasonably fast computer in order to play most games on 2560 x 1440 at 60Hz at high graphical settings, but it’s less of a challenge than 4K gaming. However, fans of faster-paced games (like Counter-Strike, above) will be better accommodated by a monitor with a fast refresh rate, at least 144Hz. Likewise, films and TV shows look great with nice contrast and beautiful colours; this TV-sized monitor doesn’t disappoint when it comes to media (although of course fancy OLED TVs will look a little nicer). If you can find it, 4K content also looks noticeably better than 1080p thanks to the in-between 1440p resolution. The PD3200Q is a nice monitor that can pull double duty as a sensible choice for creatives and a good-looking showpiece for fans of (slower-paced) video games or cinema. The essentials are extremely sound, thanks to the colour-accurate, beautiful VA panel, and the extras are great too, with plenty of nice-to-have modes, rare features and thoughtful customisation options. The only question is this: should you go for a 4K model instead? 1440p at 32 inches is extremely readable, but you might feel you’ve missed a trick by not making the jump to the next big video resolution. The BenQ PD3200U has almost all of the same features, plus 4K, at £750 — and it feels a lot more future-proof. Still, that premium price makes the £425 PD3200Q feel like a bargain. One more option is the cheaper EW3270ZL, which loses the special features and adjustability, but costs £75 less at just £350. Whichever you choose, you’re likely to be pretty happy!